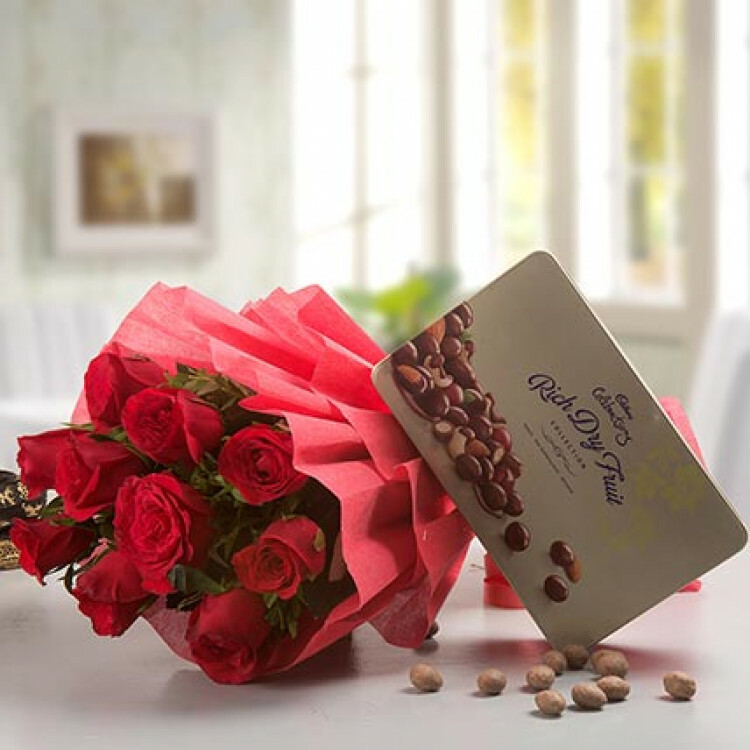 Convey your love and care with this exclusive gift hamper of 10 red roses with Cadbury celebrations rich dry fruit chocolate box. Reveal your romantic side with this spectacular rose arrangement to impress someone special. Add serious sparkle to any celebration with this gorgeous gift hamper.